Part of the Peace Frogs mindset is a commitment to give back to the environment and to our community as a whole. That's why a percentage of all sales are donated to help the environment and a number of other great causes. Peace Frogs does not represent any form of activism; rather, we are aware that now, perhaps more than ever, our entire planet needs some positively peaceful feelings. Customers are always telling us stories about what Peace Frogs means to them; it is more than just clothing. It's a way to wear on the outside what you feel on the inside. 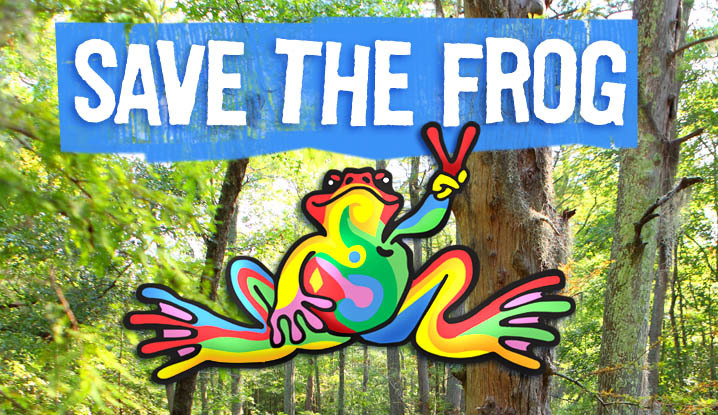 The Peace Frogs Bank to Bank Charitable Fund: The Peace Frogs Bank to Bank River Swim is an annual event in which swimmers cross a 2.5 mile stretch of the Ware River in southeastern Virginia in order to raise money for charity.